A large number of diseases of the musculoskeletal system is typical of modern health care. The complaint of knee pain and other dysfunction of the knee joint is one of the most common. Conservative methods of treatment have certain effectiveness, but are not shown for all cases of damage. Knee arthroscopy allows to conduct an effective surgical treatment of knee joint pathology in patients. This procedure has several advantages, for example, a quick recovery period of mobility in the joint after surgery, a short time of being in hospital and lower likelihood of negative consequences of arthroscopy. It is important to note that in each case the decision on carrying out arthroscopy of the knee joint takes only the attending physician. What is knee arthroscopy? This minimally invasive operative method for the diagnosis and treatment of diseases of the said joints or parts of the patient. In addition, when knee arthroscopy a doctor may biopsy a small area of his capsule and remove bone or cartilage fragments. The low level of trauma to the joint and surrounding soft tissue as the surgery is performed through small incisions on the skin. Rapid rehabilitation with early discharge from medical facility. Low risk of complications after arthroscopy of the knee, such as swelling of the periarticular tissues, swelling of the skin, pain and so on. After surgery on the knee joint using an arthroscopic method, there remains a serious cosmetic defects (scars, etc.). After 1-2 days the patient is fully discharged from the hospital, which reduces the risk of developing nosocomial infections and other similar complications. Short time disability of the patient that is associated with low trauma to the body. As with any medical procedure, knee arthroscopy has its indications and contraindications to. 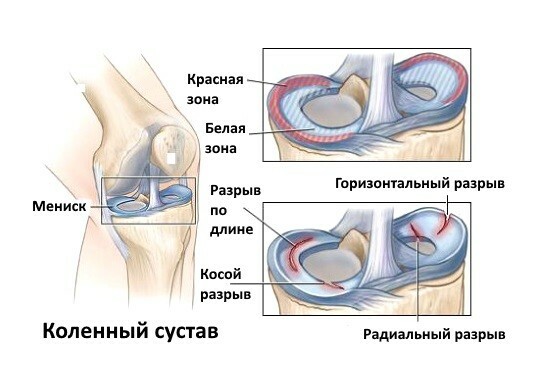 frequent relapses of chronic diseases of the knee joint. The risk of complications in connection with the use of anesthesia or any other methods of pain relief. Decompensated diseases of the internal organs, can lead to instability of the patient. In this case, it is necessary to postpone the operation for preparation for arthroscopy. Ankylosis of the knee joint associated with the growth of bone or connective tissue. Purulent-inflammatory diseases of the skin and soft tissues in the surgical area. Haematoma in the joint or within the joint cavity. Osteomyelitis in the region of the cartilage surfaces. Compliance with all the indications and contraindications to the study, to avoid the occurrence of various complications during the procedure and in the postoperative period. Contraindications of the arthroscopy must be abandoned until stabilization of the patient’s condition or to choose other methods of treatment. Early recovery after surgery and reduce the risk of complications is possible with the correct recommendations for preparation for arthroscopy. 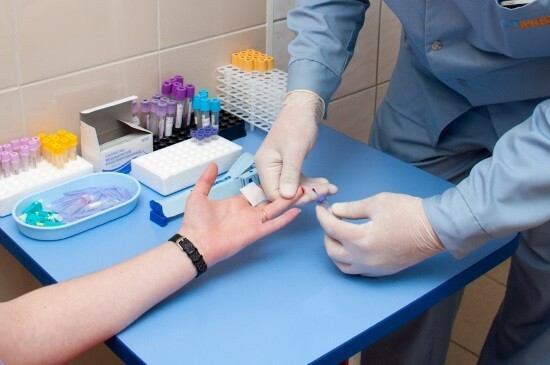 1-2 days should pass all required tests (CBC, urinalysis, studies of blood coagulation), as well as to consult a number of related professional (therapist, physician-anesthesiologist), etc. the Best option to prepare for surgery – hospitalization patient in hospital for 1-2 days before it. If the patient has underlying chronic diseases, allergic reactions, it is necessary to notify your doctor. If a diagnostic study or rehabilitation, the duration of the procedure rarely exceeds 1-1. 5 hours. Arthroscopy is performed in the operating room, where sterile conditions are observed to prevent the development of inflammatory changes and edema in the soft tissues, which is conducted through access to the knee joint. An important phase of the operation – the anesthesia during shoulder arthroscopy. There can be multiple types: General anesthesia, spinal anesthesia or local anesthesia depending on the purpose of the procedure. After ensuring adequate analgesia proceed directly to surgery, pre-treating the operating field. The arthroscope and additional manipulators are introduced into the joint cavity through small incisions of the skin at special points. Using the tools provided all the necessary manipulations. After the procedure is completed, the tools are removed, the incisions are sewn with a and joints impose a pressure bandage, as this allows us to speed up the recovery process. Allergic reaction to used drugs and the anesthesia. To prevent such consequences of the patient is carefully prepared for surgery in a day or two prior to the event. It is also necessary to organize the recovery period. Of complications need early treatment to prevent progression of these negative consequences. The recovery period patients should be divided into two stages: early and late, which differ in required rehabilitation activities. The recovery period lasts from the moment of completion of the operation until the drains are removed. The main method of rehabilitation at this stage – local use heating pads with ice or cold water. In addition, you need to use elastic bandaging of the lower extremities or the use of special compression stockings to prevent blood stasis and thrombus formation. In the early days when the procedure is complete it is necessary to reduce the load on the operated limb to reduce the risk of complications. Giving the leg elevation position allows to cope with its swelling. Early rehabilitation includes special exercises, which begin already in bed. The late period of rehabilitation after diagnostic or therapeutic arthroscopy of the knee joint mainly consists of motor exercises, as well as a gradual increase in load on the operated limb. In the event that the patient edema of the legs perform a special massage. In addition, recovery use active walking, different types of physiotherapy and other rehabilitation techniques. Arthroscopy of the knee joint meniscus cartilage or articular ligamentous apparatus is widely used in modern clinical practice for diagnostic and therapeutic purposes. Procedure to determine the cause of the disease and successfully eliminate it. Many patients are interested in the question how much is an arthroscopy? The average cost of the procedure ranges from 10 thousand to 50 thousand rubles, depending on its size and objectives. However, for medical reasons, the surgery is performed absolutely free for the patient.